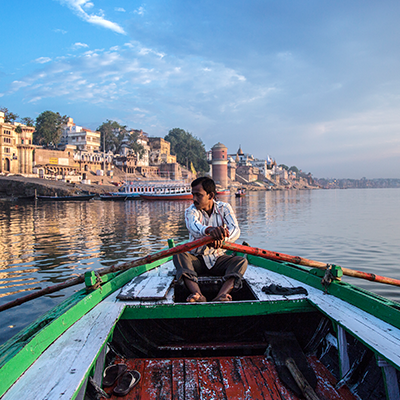 Varanasi, one of the oldest cities of India, is the fifth largest city, in lieu to population in Uttar Pradesh. 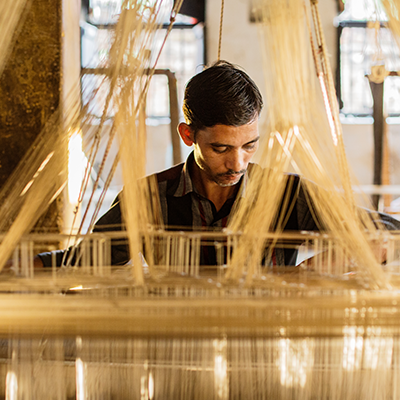 The city houses over 100,000 weavers, considering the fact that weaving is what Varanasi is known for, apart from the rich culture, the city embodies. The city is iconic and stands tall when we talk of crafts. The traditional ‘benarasi’ weave has occupied a pride of place in weaving traditions of India and is uniquely known for its additional embellishment (called the supplementary weft) upon the regular weave. It is also an art form representing a syncretic and composite Hindu-Muslim culture. Muslims constitute over 80 per cent of the weavers. 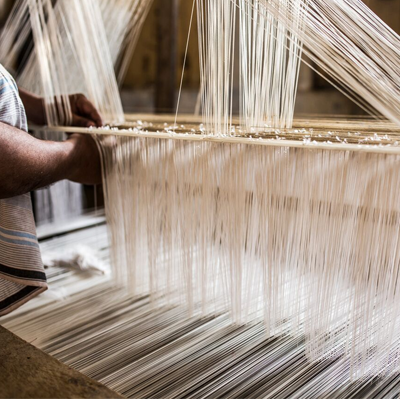 Ansaris (a Muslim sub-caste; Ansari means ‘helper’ in Arabic) dominate the craft of weaving. Historically, the Ansaris have inherited this profession over generations. 90% of them belong to the category of Other Backward Classes (OBCs). With less engagement of other communities in this profession, the weaver community has become isolated/ghettoized and hence socially excluded. 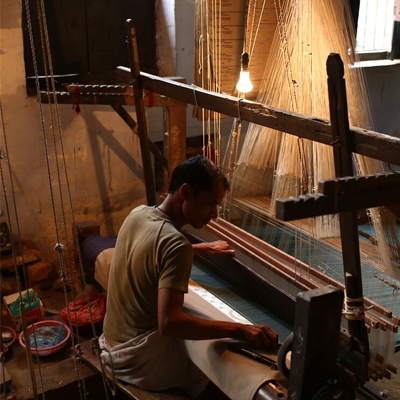 The weavers’ community is also fragmented with high dependency on middlemen which makes them vulnerable. 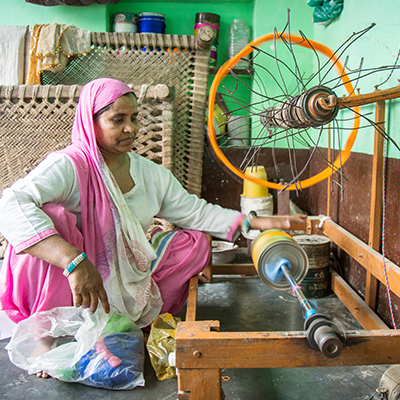 While weaving is male-dominated (with 98% of the weavers being men), the whole household (including women and children) is actively involved in the weaving. 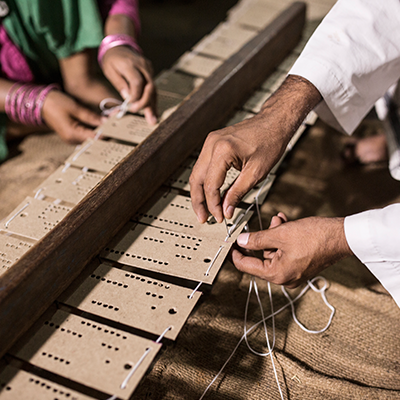 Women and children provide important assistance in pre-loom and post-loom finishing work.